Pasta sauces, like many meals that have a sauce base, are a great way to up the vegetable intake of your child’s meal. 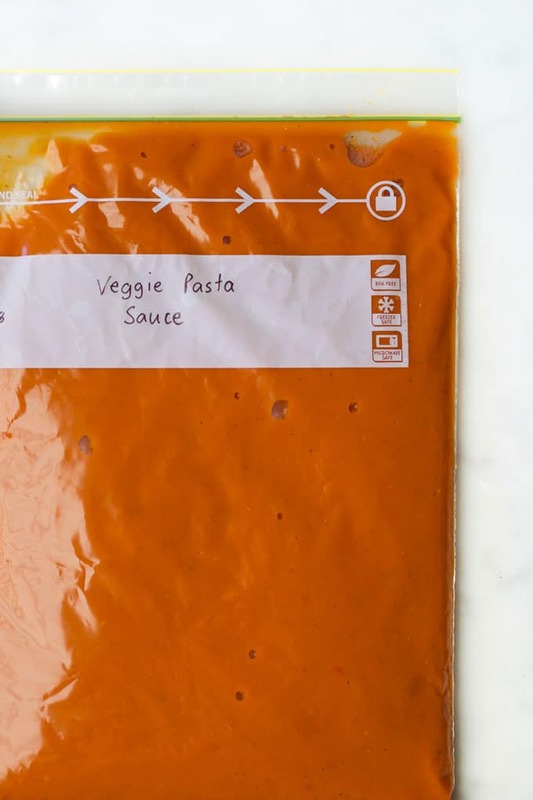 This Veggie Pasta Sauce is loaded with six different vegetables and blended smooth, making it perfect for fussy eaters or kids with textural issues. Although I strongly believe children should be continually exposed to vegetables (that actually look like vegetables), I believe hidden (or as I like to think of it, boosted) veggie dishes have their place too. For some parents, hidden veggies may be the only way they can get their child to eat vegetables. Most people struggle to eat the recommended daily servings of vegetables. Eating a meal with hidden vegetables and then serving that meal with extra vegetables is a great way to up vegetable intake. Hidden veg meals can be a stepping stone to children accepting vegetables. 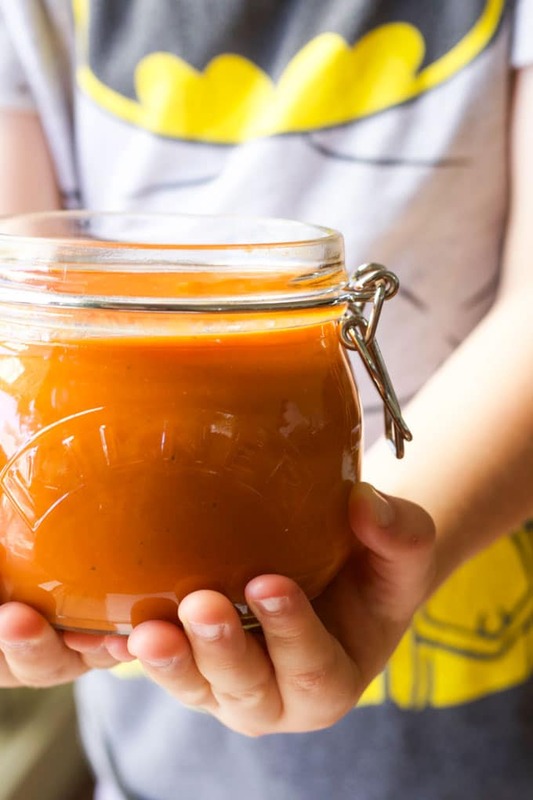 Parents can explain what vegetables are in the sauce or, even better, kids can help make it and see that vegetables can be a good thing. As you can see, from the picture above, this sauce is crammed with a variety of vegetables. Some children enjoy one or two vegetables and so it becomes easy to fall back on serving only the ones they like. However, for full nutritional gain, we want to eat a wide variety. 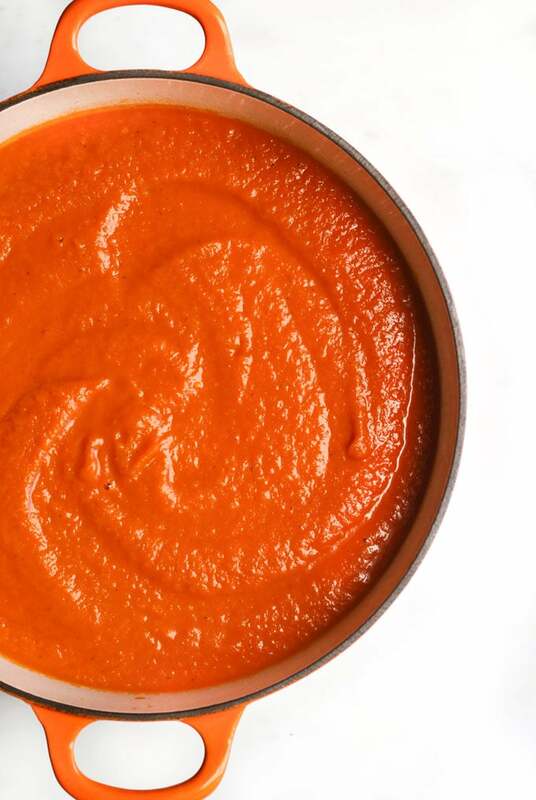 This sauce adds the nutritional goodness of six different vegetables along with chopped tomatoes. A lot of commercial pasta sauces have added sugar and are high in salt. Although they are convenient and easy for busy weeknights this sauce is a much healthier alternative. Although it takes time to prepare, it stores really well. You can make a big batch, say once a month, and freeze in portions. I usually leave a jar in the fridge, to use that week, and then freeze the remaining sauce in zip lock bags. Of course, this Veggie Pasta Sauce doesn’t have to be limited to just pasta. 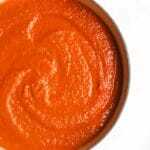 Why not try it as a pizza sauce, use in a chicken bake or use it to replace tomato sauce/passata / chopped tomatoes in a recipe. A delicious veggie pasta sauce, crammed full of 6 different vegetables. Perfect for picky eaters or just a great way to add more veg to your family's diet. No added salt or sugar. Great for a pasta sauce or for topping pizzas. It can also be used to replace tomato sauce in most recipes. Heat the oil in a LARGE saucepan, over a medium heat. Add the onion, garlic, and mixed herbs and stir for a couple of minutes. Add the remaining vegetables (celery, leeks, carrots, capsicum, zucchini) and cook, covered, for around 20 minutes. 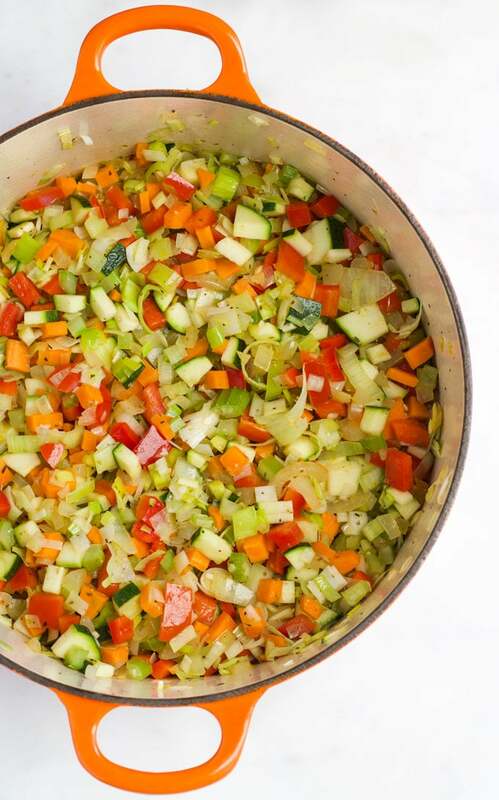 Continually check and stir the vegetables, you want them to soften but not burn. Add the tomatoes, tomato paste, and stock (SEE NOTE 1). Stir until combined. Bring to a boil, reduce the heat and allow to simmer for a further 20 mins. Can be replaced with water if you prefer. Please use water / homemade stock if serving to a baby / young child to reduce sodium levels. You can blend using a stick blender, food processor or blender. You will probably have to do this in batches due to the volume of sauce. This recipe makes A LOT of sauce. (Around 2.6kg which is roughly the equivalent of 6-7 commercial jars of pasta sauce.) The reason I make so much is so I only have to make it occasionally and can freeze the remaining sauce for quick and easy weeknight meals. If you prefer you could half or even quarter the recipe. Have you tried this recipe? I love hearing your feedback, please leave a comment below or tag me on Instagram or Facebook. What size cans of tomatoes do you use? Thank you, I need this for my picky eating 18month and 4yr old! This is so fresh and tasty . I use it for pizza base too on those sweet potato one with oats that I found on this website too. I love it ! Goes also well with little muscles. I definitely will be making this turkey meatballs and zucchini pasta. It’s really such a delicious recipe. It is a great sauce dishes. I enjoyed your recipes. Thanks this post is really informative and useful recipes. This looks super easy. I gonna make it tomorrow. Thanks for sharing it. I tried this today. After blending, the sauce turned orange in color. Could you please share how it stays red for you? Thanks much. This sauce is amazing!!! The whole family love, so delicious and tasty. I add a bit of Parmesan cheese too.